One of Nintendo's first Famicom games was based on the Japanese tile game, mahjong, and was actually one of the biggest selling Famicom games of all. 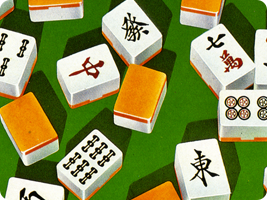 Nintendo has kept the trend going by releasing many Mahjong titles over the years, shifting the series title to Yakuman, named after the best Mahjong hand. 01 Jul 1998 Super NES Zootto Mahjong!